When we enter our dogs in a contest and they do not win they are still winners and for good reasons. A dog does not have to win a Best in Show title or a prize pack to be determined a winner. Undoubtedly, my Redtick Coonhound will never even enter the Westminster in hopes of winning a trophy as the best in his breed or the best in the show. And when I entered my mixed-breed shelter dog in a photo contest to win a prize pack of Good Reasons dog treats, he was not the winner. A dog named Gabe won first place with a picture story all his own while my Valentino came in as the second place winner. I did learn, however, that my dog Valentino knows how to win friends and influence people. 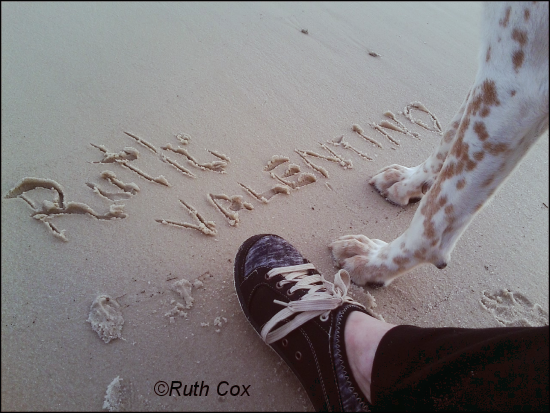 As I promoted Valentino's photo in order to win votes in the contest, I also watched his daily tally of votes increase. 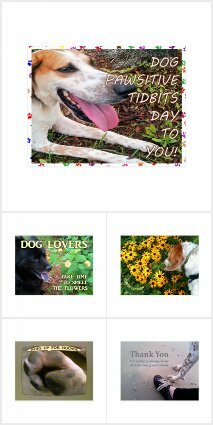 I saw the picture and story of my dog and I on the seashore shared all over the world wide web by friends and by people I did not even know. "In my book you and Valentino won that contest, so I wanted you to have at least part of the prize." 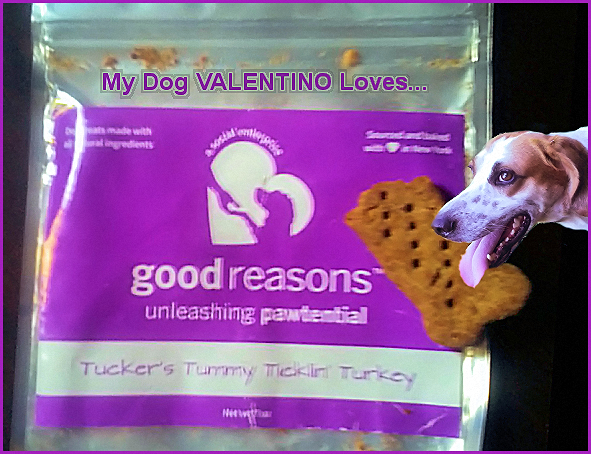 No doubt about it, in the future I will purchase additional Good Reasons dog treats so my dog Valentino will be able to taste test all available flavors for he gives his Paws Up! 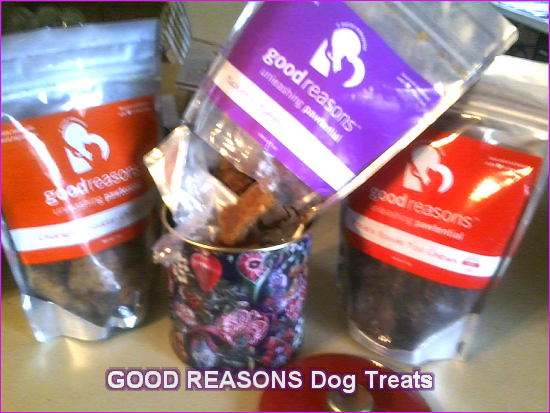 to hounds and these flavorful treats. For me there is no better reason for my dog being considered a winner in my book than through the unconditional love, trust, and respect he has grown to show me since we rescued one another from our life circumstances. But of course, I shower him with those same key ingredients in our canine - human relationship. Share the good reasons you feel your dog is a winner! You can share your winning canine here in the comments. 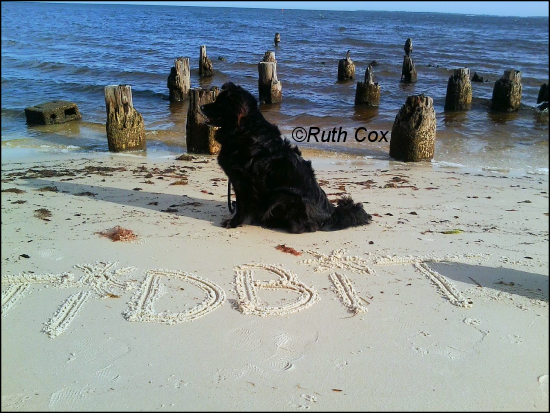 Or, better yet, blog about it and link up with PAWSit Hop Saturday right here on Dog Pawsitive Tidbits. We rolled out the welcome mat for our out-of-town house guest, the first overnight visitor experience for my dog. 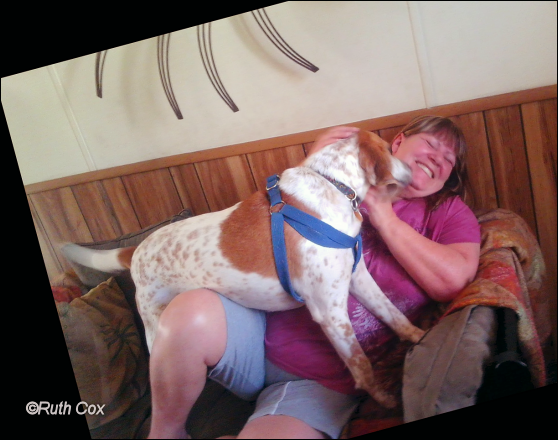 In the three months my three-year-old redtick coonhound, Valentino, had been with me, I had spent time socializing him to the presence of other people and I was fairly certain he was a people-friendly dog. Valentino had already made friends with many of our neighbors, greeting special ones with a tail wag of excitement when running into them on our daily walks. My dog had experienced strangers in the home, too. 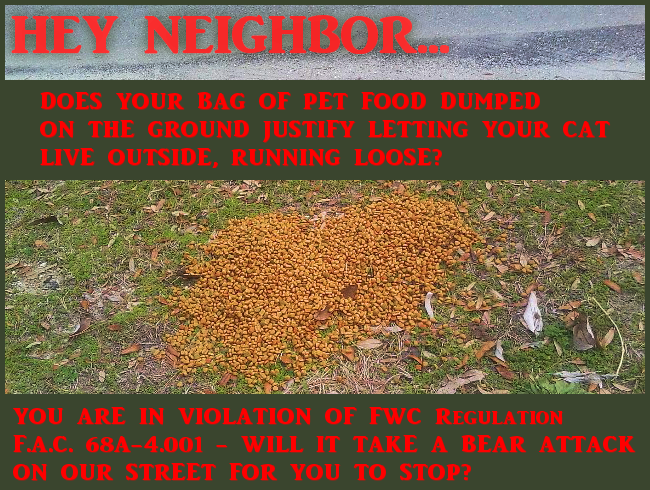 He behaved well with our landlord and his crew when they were here to repair the well water pump and water heater. And although a bit wary, he was okay with the bottled water delivery man from Crystal who came once a month. Still, I was a bit apprehensive as I wondered how Valentino would react to a stranger in the house for days. I could only hope that the dog would feed off of my own excitement of seeing my friend and welcome her with open paws. As it turned out, there was no reason for me to have been anxious about how my dog Valentino would react to my friend Chris visiting from out of town for a few days. It was love at first sight for my new dog and my old friend! In fact, as soon as Chris sat down on the love seat, Valentino jumped right up there with her. He seemed quite excited about having a couch potato friend to share his sofa! Our water delivery coincided with the first evening of Chris's visit. Interestingly, Valentino was not happy to see the Crystal man, at all! He barked in an unwelcoming manner as the man carried the water bottles in the house and followed him to the door as he carried the empty bottles out. Since this was unusual behavior for my dog, I attributed it to him being protective of Chris for some reason. It could be that it was just too much activity and too many strangers to welcome in one day. Valentino has now become more protective of our home, so maybe his reaction that day with the Crystal water man was just good timing. He now gives a sharp bark when someone knocks on the door and comes running to get me. I take this as a good sign that my dog is now guarding his turf and protective of his home's inhabitants. 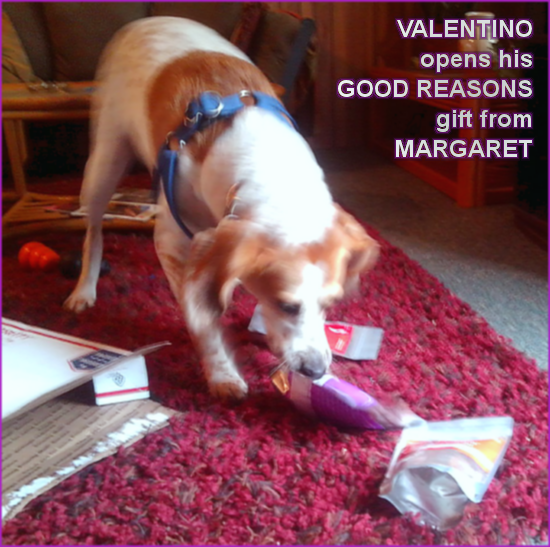 For this, my Valentino receives a "Good boy!" But of course, this now means we are in WAIT! training — teaching Valentino to sit and wait from across the room as I answer the door and while I first greet visitors to our home. Disclosure: Ruth Cox is an Amazon Associate and may earn commission on sales via your purchases from links in this article. Article may contain links to 3rd party sites for which we are not responsible. 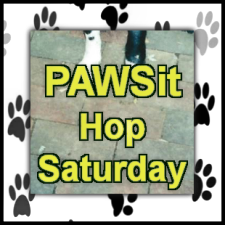 My dog and I would like you to be our guest by hopping along with us today in PAWSit Hop Saturday -- a blog hop for bloggers who publish dog-related articles on a blog home of their own. Grab the InLinkz code for your PAWSit post! 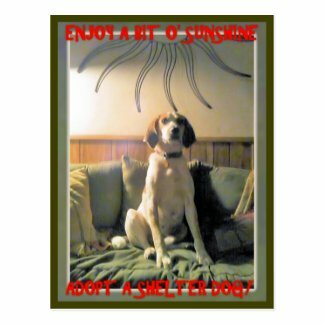 My hound dog Valentino wanted me to let you know that he has a few new postcards added to his collection. My dog loves being a postcard pup! When you enlarge this image for a closer look, you will see my shadow in the honeysuckle bush. I love shadow play! 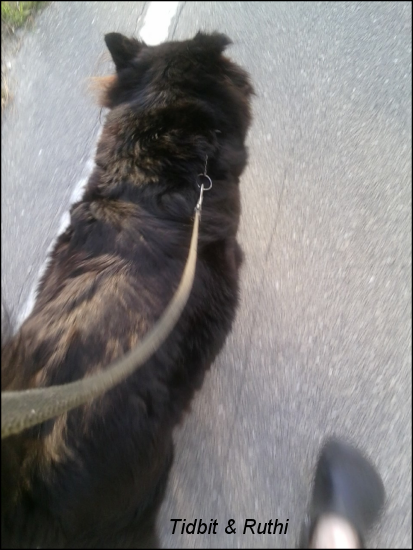 And then there are the days where Valentino takes the lead and off we go! 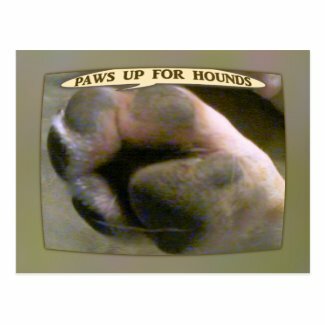 Stray hairs and all, my hound dog's back paw! 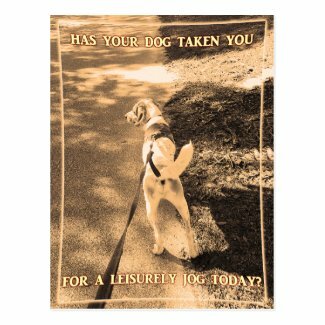 Do your dogs have their mugs on a postcard? 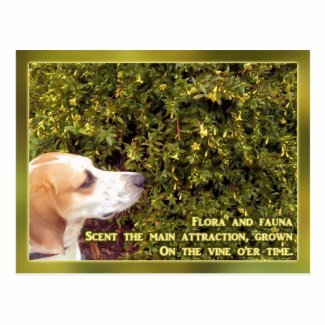 I am linking my postal hound dog up with BlogPaws for Wordless Wednesday. 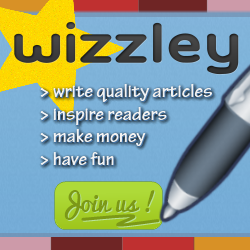 Come join the blog hop fun! Eight months later this hound dog took a car ride to what would become his forever home ... to love and to be loved ... Forevermore. This is the face of pure sweet love and is one of my favorite pictures of my dog Valentino. He grins from ear to ear and at this moment begins the journey of letting go of his fear, somehow knowing that the future holds all good things for those who wait and persevere. Oh, and wait Valentino did — for me! 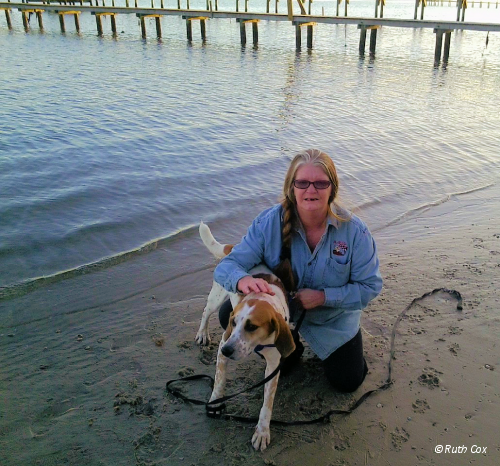 You will discover just who rescued who when you read our waiting game story. 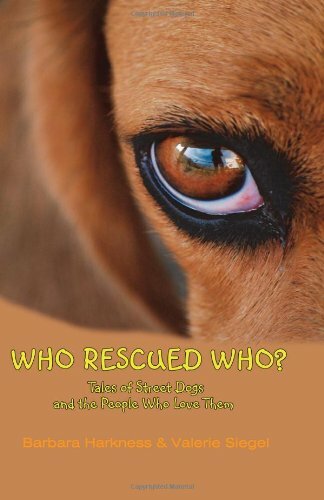 Ours is a tale to remember, much like many stories of dogs and humans who have rescued one another with love. 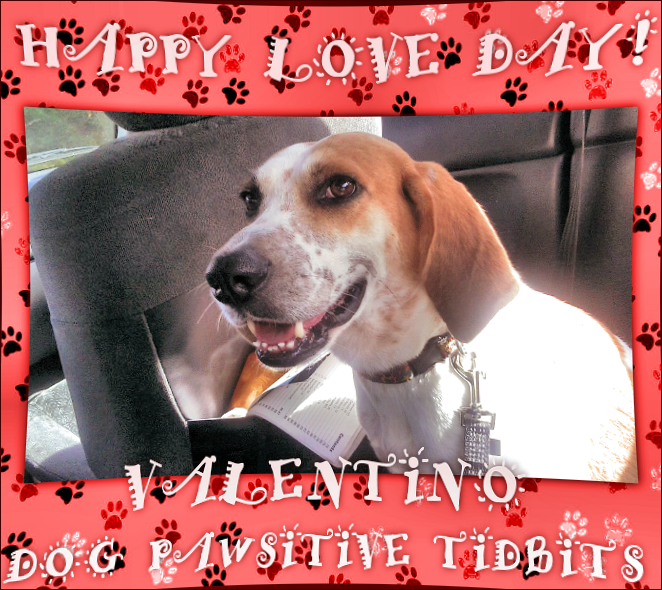 You, too, can know a love like this and Valentino is always here to remind you — Adopt a shelter dog! 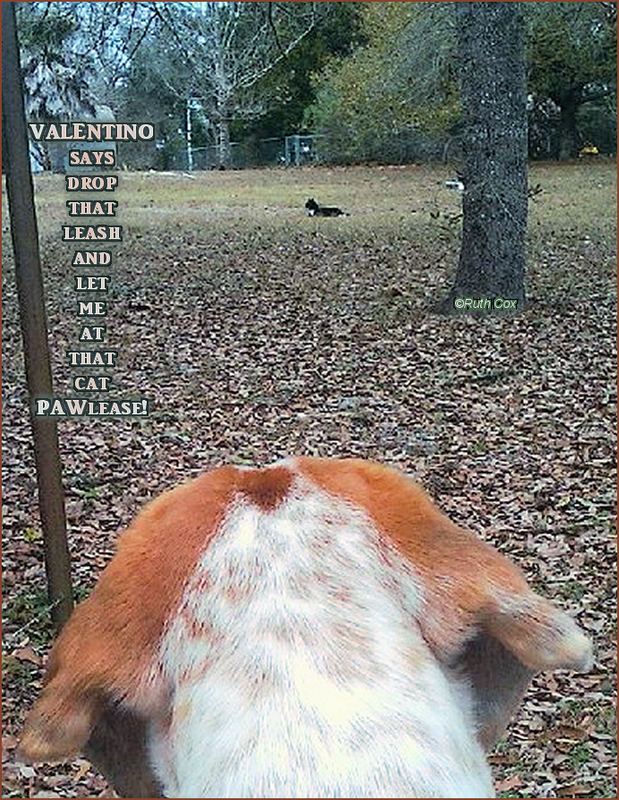 When my dog Valentino speaks, people listen! Yes, just like they do when E. F. Hutton talks. Actually, Valentino speaks for a walk but he would much rather talk about the Good Reasons Dog Treats photo contest he's entered to win over at MyDogLikes. Valentino wants to win that prize pack for dogs and needs your vote to do so! Thank you and a tail wag! We are linking this call to action up with the Wordless Wednesday blog hop hosted by the BlogPaws community.